Geneva: Russia secured the final approval Friday to join the World Trade Organization (WTO) after a record 18 years of trying. Moscow’s lead negotiator Maxim Medvedkov had said earlier that he expected the deal to be ratified “early next year." 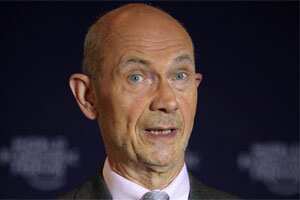 “This is clearly a historic moment for the Russian Federation and for the rule-based multilateral system after an 18-year marathon," said Pascal Lamy, director-general of the WTO. “What you have to know about marathons is that the last mile is the worst and toughest and the best moment is when you cross the finishing line which is what we are doing today," he said. Describing the accession as a win-win for both the WTO and Russia, Lamy said it “accords the quality WTO label" on Russia and with the membership the trade body “will cover 97% of world trade." “We are rapidly approaching universality in the coverage of global trade," said the director-general. Making a reference to the storm over Geneva, Russian First Deputy Prime Minister Igor Shuvalov welcomed the accession saying: “The storm is a sign of a wind of change— change for the better." Russian economic development and trade minister Elvira Nabiullina pointed to the turbulence besetting the world economy and said Moscow was ready to counter any threat of protectionism. “The world economy is living through not the best of its times. The risks of protectionism always looming in the horizon. By joining the WTO we are ready to counter these risks actively," she said. Russia applied to join the trade body in 1993 but talks dragged on and its brief war with Georgia in 2008 further delayed its application. No other country has had to bargain so long before being granted entry. China was the previous record holder with 15 years of negotiations for membership. Moscow cleared its last hurdle for WTO accession when it finally clinched in November a deal with last hold-out Georgia, which was able to veto any accession bid by virtue of its membership to the trade body. In all, Russia sealed 30 bilateral agreements on market access for services and 57 on access for goods in order to secure the green light from other WTO states. For the overall package, Moscow agreed to cut its tariff ceiling from the 2011 average of 10% for all products to 7.8%.